I am a teacher and also the founder of Read with Phonics. So what does the worlds best learn to read resource look like? Next up I wanted to make learning fun. Children love games and I am constantly trying to make my lessons fun as I see the impact that it has. There is lots of new science behind 'gamification' these days which is all very interesting, but it doesn't take a scientist to work out that if you enjoy doing something, you're going to spend more time doing it. Therefore, the more you enjoy reading, the more time you will spend reading and the better you will get at it. So I set about designing a series of games to teach each of the sounds. Initially children are taught the sound, then the letter or 'shape' that sound makes. Next up children are required to put this new sound they have learnt into different words and eventually are asked to read words with that sound in and match it to a picture to develop an understanding of what that word means. It is a simple structure but this is the foundation of every phonics lesson I teach, so I know it works! I also found a frustration with traditional phonics resources that it was impossible to see which students are struggling on which sounds. I wanted a way to record all of the progress students were making and to display it in a way that made teachers lives easier and crucially more efficient. If there is one thing I know, it's that teachers do not have much 'spare time'! I also knew that not all teachers teach the same, in the same way not all students learn the same. And so I knew we needed to be available for teachers on a variety platforms, both online and in app stores. To help us fit into their classrooms and their style of teaching. This was the fun part! Through friends I managed to find a development company, Lupimedia, that would start the first batch of work in the form of a loan. (A massive thank you to James and all the Lupi team for sharing our vision and for joining us on this journey...) Off the back of these 3 months of work, we secured a Virgin Start Up loan from the Government and Virgin Group to complete the development. Next up was to actually design everything, which I loved! From choosing colours, fonts, characters and images for each word, website design, layout and how it would actually work in the classroom. It was a huge amount of work with some very late nights, but it was a lot of fun! In order to save money I am also 'the voice' of Read with Phonics and so everything you hear is me! It meant numerous trips to a recording studio to record all the words, sounds, game introductions and more. 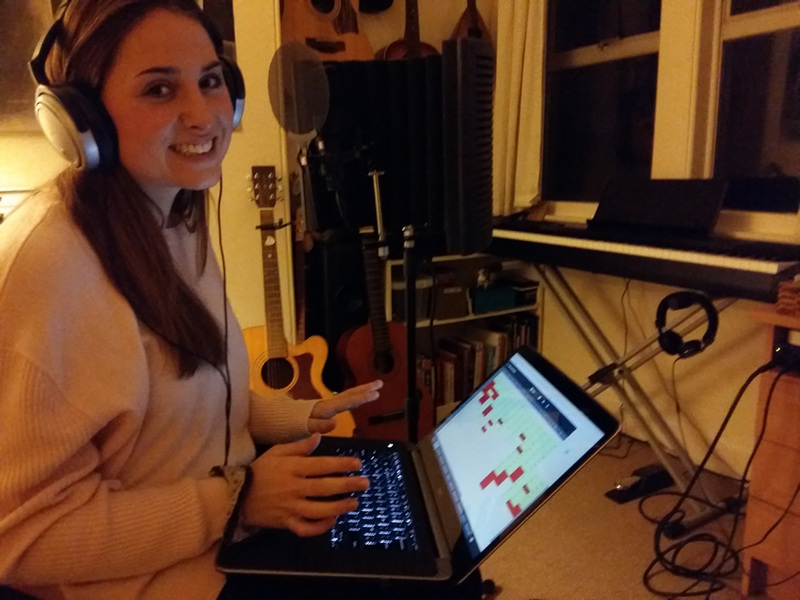 Recording 1,000's of words and trying to sound upbeat for each one was not easy, thank you Jon for bearing with me! What if it didn't work?! It was the moment of truth, what if all this work, effort (and money!) would come to nothing?! What if no-one liked it?! 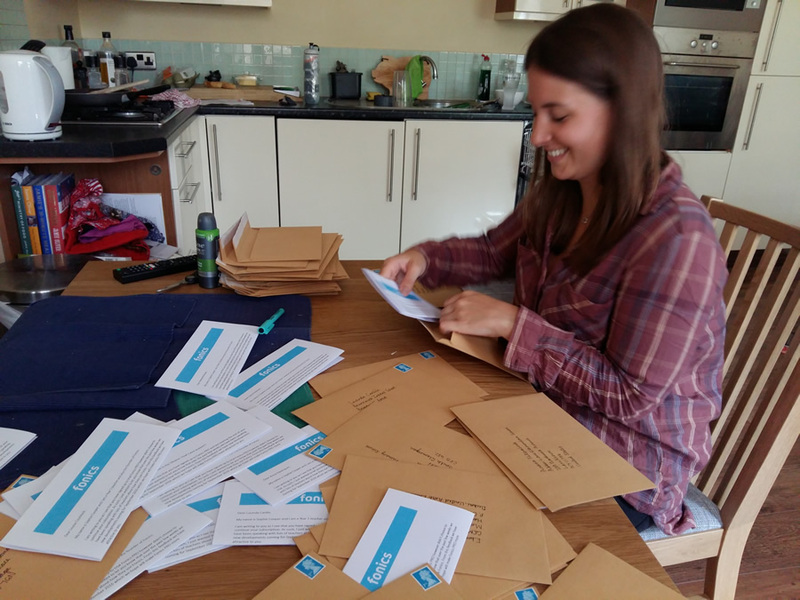 Sophie writing to the first 100 schools who signed up to say thank you! 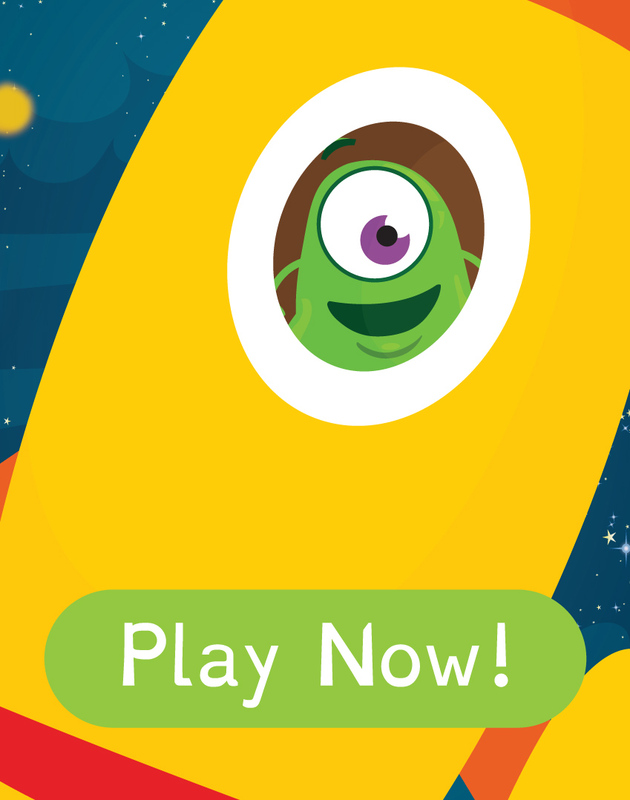 I remember our first launch into the app stores was a disaster. Firstly we got told on numerous occasions by Apple that our app was too complicated to understand, it wasn't 'intuitive'. This was a kick in the teeth considering that is exactly what we were designed to be! So back to the drawing board on that one... In the Google Play Store we also had emails from 7 of the first 10 people that downloaded it, 70% had problems. It wasn't a strong start! After the initial launch we then spent 6 months chatting to users, carrying out more research to refine the apps, the website and our whole offering. By now we were getting some amazing feedback, it was actually working and our user base was growing. We were speaking to investors about how we could get funding to improve and develop Read with Phonics further, which meant we had to make business plans, make 'projections' and talk about how we were going to 'monetise'. As you can see I have learnt an amazing amount already and there is still a long road ahead of us, which is hugely exciting! Please feel free to share this page with fellow teacher/parent friends who may find our website useful. Be sure to get in touch with me if you have any feedback, advice, helps, hint or tips! Hello! 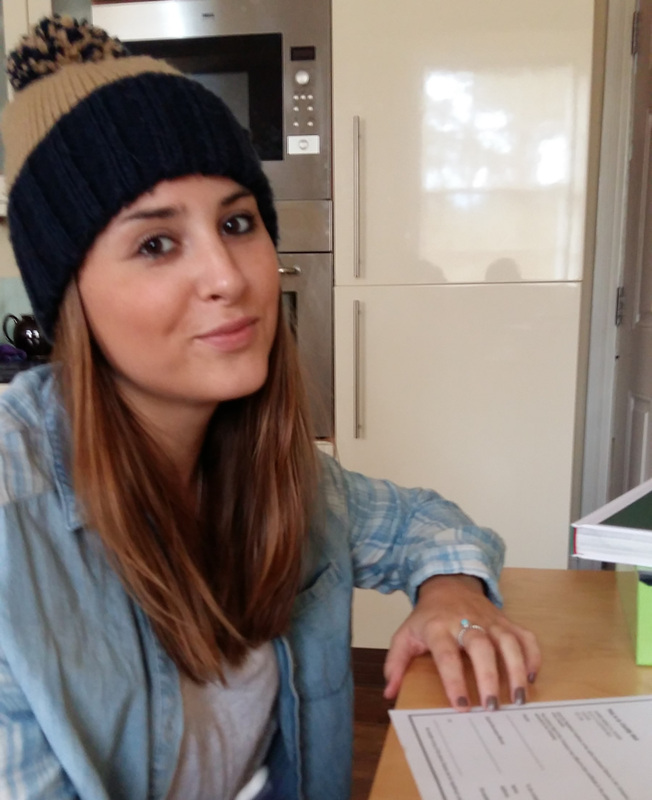 My name is Sophie, I am a Key Stage 1 primary school teacher in England. I created Read with Phonics because learning to read is the most important skill we teach children when they start school, yet 1 in 10 children leave school with the functional literacy of a 7 year old. I wanted to create a resource that made learning to read fun, to inspire children to read books and fall back in love with reading again. 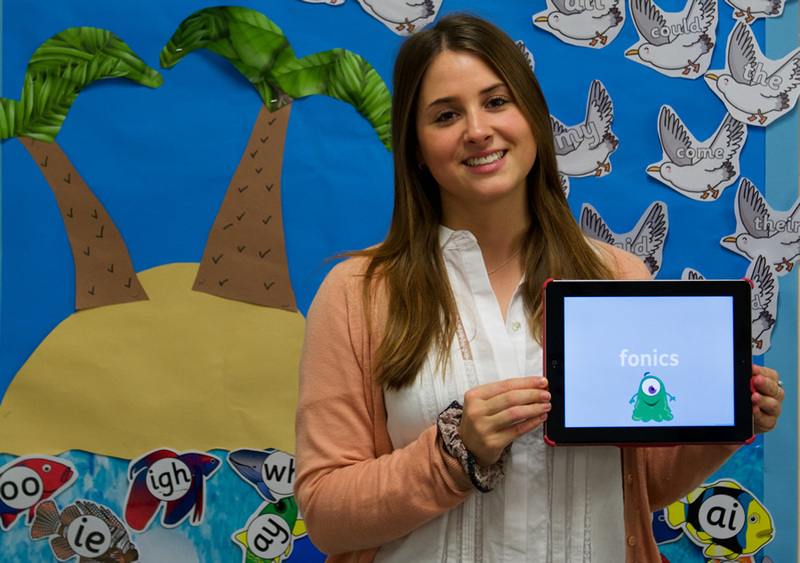 Phonics Schools is a complete classroom resource, designed to seamlessly fit into your synthetic phonics lessons. By bringing the latest technology into the classroom it is our goal to help teachers become more efficient. By providing the data and resources they need, teachers will be able to create a more personal teaching experience for every one of their students. I hope you enjoy it!